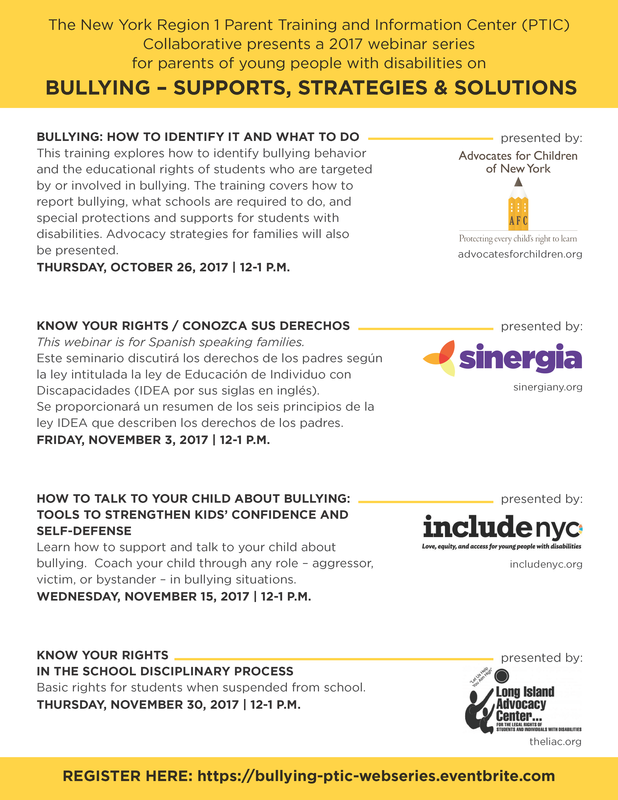 ​The New York Region 1 Parent Training and Information Center (PTIC) Collaborative is presenting a free webinar series on bullying for parents of students with disabilities. View the flyer [PDF] for more information and register online. ​This November and December, the New York Region 1 Parent Training and Information Center (PTIC) Collaborative is presenting a webinar series on transition to adulthood for students with disabilities! Topics include: graduation requirements and diploma options; supporting student participation in the IEP process; available resources for transition; and services for individuals with developmental disabilities.